Dr. Johnny Smith Family Dentistry (Peoria) - Book Appointment Online! 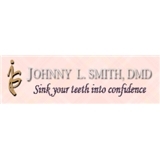 Dr. Johnny Smith DMD and staff are delighted that you have chosen to visit our online practice. We offer general dentistry, cosmetic procedures and reconstructive dentistry to our family oriented community. Stop by anytime, my caring staff and I would love to meet you and give you a tour of our facility. We have created a comfortable and warm atmosphere and take great pride in making your office visit as pleasant as possible. I look forward to seeing you!